Now, much can be said of eccentric winemaker and Bonny Doon owner Randall Grahm. His eclectic marketing style along with solid wines put him on the value map a long time ago. Last summer Grahm sold off his Big House and Cardinal Zin Brands to The Wine Group, LLC so I was interested to see what the last of his wines from these fun value brands would taste like. Sadly, disappointment reigned. No wine fans, it looks like Randall got out while the getting was good. I remember these wines as having some interest and for what it was, they were a fun little wine. That said, it has been probably over five years (and many thousands of bottles) since I have tasted the Big House Red, but I would have thought it would more or less be on auto control. I thought wrong. To ensure I was not going out of my mind, these bottles were also tasted by vino girl (who had it blind against another value wine), as well as some other "non-wine" folks who all came to the same conclusion- "bleeeeech!" The red was, at best, over simplistic, tart and out of balance and, at worst, undrinkable. The white showed marginally better (meaning not offensive) with some pleasant flowery and white fruit aromas, but was utterly insipid in the mouth. My immediate thought was white wine flavored water. 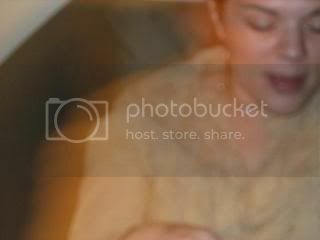 Plonk, plonk, plonk, plonk, plonk. Sheesh. Frankly, my memory may be clouded (I did drink quite a bit back then) and these wines may have never lived up to expectations, but it is my feeling that this type of experience is why people don't "get" wine. They start off like all of us drinking random inexpensive bottles and get hit with swill after swill and soon go back to drinking beer and bringing mags of Yellow Tail to parties. Fear not budding wine enthusiasts- there is better wine out there! Stay the course! It gets better, I promise! These Big House wines can be had for around $10 virtually everywhere, but in my opinion skip 'em and buy the six pack. Great post! I used to love the Big House wines (and there was a time when I felt savvy and edgy for bringing a screw-top wine to a party), but the bloom is definitely off the rose here. I used to be a fan too. It's a shame this wine isn't what it used to be. Chalk another one up to a former fan. Haven't had them in a while, but I'll trust y'all not to try. 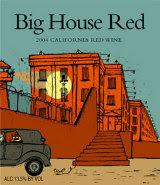 I too have long been a fan of Big House Red, but just bought a bottle this evening and was sorely disappointed. This is not the wine it once was.